Kirk. Picard. Sisko. Janeway. Archer. Just hearing these names is enough to bring a smile of fond remembrance to Star Trek fans of all ages, and conjures images of heroism in the face of danger, face-offs with alien races, and some egregious fashion faux pas. From the original Star Trek in the 1960’s to the 2009 movie by J.J. Abrams, the Star Trek franchise has been one of the most enduring and profitable in Hollywood history, and even though interest in the TV shows has waned in recent years (the recent series Enterprise was cancelled after four seasons), the characters and the actors who played them continue to be a force of pop culture with which to be reckoned. 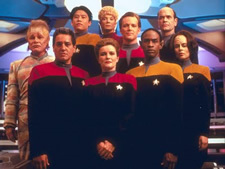 But despite (or perhaps because of) the myriad documentaries, interviews, and convention appearances that the actors have taken part in over the years, it is the individuals who played the storied captains of the various vessels in the show who continue to fascinate millions of fans worldwide. And it is with this in mind that William Shatner, who wowed audiences and wooed women as Captain Kirk in the original series, set out to create a film that offers a singular insight into the hearts and minds of the actors who have had the distinct privilege to sit in the fabled captain’s chair. 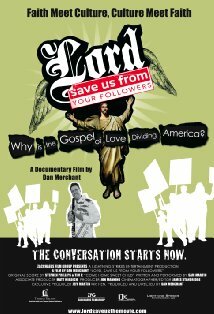 The result is a documentary consisting almost entirely of simple conversations between Shatner and these actors that is equal parts compelling and funny, while also managing to be heartbreaking and even a bit awkward. Shatner, whose career includes high profile shows like Boston Legal, melodramas like Rescue 911, and a dose of sitcoms and commercials to boot, is clearly in his element as he interviews the actors–often providing a window into his own heart and even upstaging his subjects from time to time. 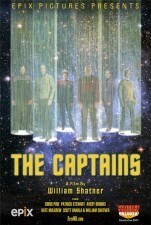 It all comes together to make The Captains a fantastic and singular work of art that boldly goes where no documentary has gone before, and offers Shatner the unique opportunity to blaze a trail that no one else could hope to trod. What would you say if you could sit and chat with Patrick Stewart for an afternoon? Would you ask him what it was like to play Jean-Luc Picard, one of the most recognizable figures in modern science fiction? How about Kate Mulgrew, the woman whose Kathryn Janeway helmed the starship Voyager on its 70,000 light year journey through the Delta Quadrant? Or Chris Pine, the young actor who filled Shatner’s Starfleet-issue boots as Captain Kirk in the 2009 film? What questions could possibly be worth their time–surely nothing these actors haven’t been asked hundreds or thousands of time before. Captain Kirk vs. Captain Kirk in the arm wrestling match of the century! 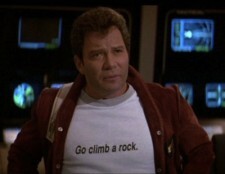 And so Shatner wisely stays away from all of the topics that would, on the surface, be of most interest to fans. Instead, his conversations with the “captains” wander back and forth from pop culture to horseback riding to philosophy, religion, and even death and the afterlife. Heavy subjects to be sure, but counterbalanced by a liberal dose of Shatner’s off-kilter sense of humor and glowing charm. The most profound and compelling segments come from his discussions with Patrick Stewart, where things start off cordial but end up digging deep, exposing a side of both actors that has rarely been seen in public. Stewart goes as far to divulge regrets that are as deeply felt today as they were back when he was filming The Next Generation, and Shatner likewise comes to a realization about his role as Kirk that has haunted him for decades. I doubt the two are best friends, but it’s clear there is an incredible mutual respect and genuine appreciation for the contributions both have made to science fiction and modern culture. His visits with the rest of the captains may not be at heart-wrenching, but each is compelling in its own right. It’s hard to not smile as Shatner and Scott Bakula (Captain Jonathan Archer) shoot the breeze over drinks at a diner, talking about the acting profession and their appreciation of each other’s work. He visits with Mulgrew on stage at a New York theater, where the two discuss the pioneering work she did as the first female captain in Star Trek and how the work put impossible demands on both of them–the effects of which were bitterly felt by their spouses and children. While these conversations are thoughtful and compelling, Shatner’s afternoon with Avery Brooks (Benjamin Sisko) goes somewhat off the rails. Brooks improvs jazz licks on a piano while Shatner provides a somewhat bewildered impromptu lyrical accompaniment, and the two go off on metaphysical tangents that make me wonder if part of Brooks is still lost in the wormhole somewhere. The weakest link by far is Shatner’s all-too-brief conversation with Chris Pine. Even though the two men give it a good honest try, their segments are brief and lack nearly all the chemistry from the other interviews. To their credit, neither actually has much in common besides the Kirk character, and Shatner is old enough to be Pine’s grandfather. But whereas the role of captain serves as the genesis of Shatner’s conversations with all the other actors, it actually seems to hamper his dialogue with Pine. There are plenty of other Star Trek documentaries and behind-the-scenes featurettes out there, but none so personal and intimate as the portraits Shatner constructs in The Captains. It is an impressive labor of love that could have been made by only one man, and as a lifelong Star Trek fan I am grateful for the work Shatner has done to assemble this collection of interviews–if nothing else than for sheer posterity. I would imagine this film would come across as boring or obscure to non-Trek fans, but if you wouldn’t feel at home in a Star Trek convention rubbing elbows with Klingons, Cardassians, and Orion Slave Girls, this is definitely not your kind of movie. However, for those of us who have spent years venturing into the final frontier with the Star Trek captains, this film is a jewel and not to be missed. The first episode of the venerable Star Trek sci-fi series was aired on September 22, 1966, and spawned an entertainment tour de force that, despite some rocky times in syndication and various states of cancellation, continues to chug along even today more than 30 years later. 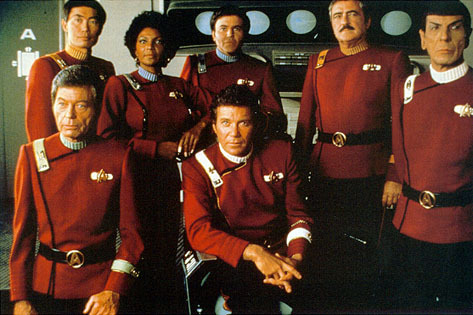 But with the passing of time, the weathering of the starship Enterprise, and the graying of its crew, the original series that started as a gleam in Gene Roddenberry’s eye graced the silver screen for the last time 25 years after it began. Even though Undiscovered Country is the sixth movie in the sci-fi franchise, it stands tall as one of the best and still holds its own against its spry, modern, younger successors. In a bit of a twist from previous films, Sulu is never seen together with the rest of the Enterprise crew. Instead, from the outset of the film, he is in command of his own ship The Excelsior (Note to William Riker: this is called career advancement). Off exploring space as usual, his ship encounters a gigantic energy surge resulting from an energy explosion on the Klingon moon Praxis which was, as near as I can tell, basically a gigantic Klingon Power Plant. In a brilliant twist on typical Star Trek lore, the mighty Klingon race is forced to come to the Federation for aid lest they go extinct as a species in less than five decades. Kirk is then put in the awkward position of playing would-be ambassador to the Klingon high council, an incredibly uncomfortable diplomatic role considering that his son was murdered at the hands of Klingons. It’s this type of juxtaposition that is the hallmark of Star Trek and all good science fiction, and further propels Undiscovered Country into the upper echelons of Star Trek movies. The phrase “Action-Packed” has never been apt for Star Trek, save for the notable exception of First Contact, but it wouldn’t be far off the mark here. After the abysmal Final Frontier, and knowing that this film would be the series’ swan song, director Nicholas Meyer (who also helmed the brilliant Wrath of Khan) ratchets up the intensity on all fronts. 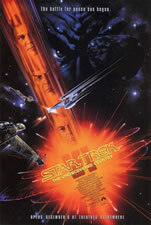 From the uncomfortable dinner scene aboard the Enterprise, where the Klingons and Enterprise crewmen can barely contain their disdain for each other while General Chang (Christopher Plummer) and Kirk try to out-Shakespeare-quote each other, to the amazing courtroom scene (“Don’t wait for the translation!”) to the final showdown between the Enteprise and a Klingon bird of prey, Undiscovered Country is about as intense as they come. There’s also a bit of mystery, treachery, backstabbing, and old-fashioned fisticuffs thrown in for good measure. It all comes together quite well, despite a few missteps here and there such as the over-the-top climax which is far too abrupt and logic-defying to go over with much satisfaction. Believe it or not, even the visual effects are far from terrible, though still mired in typical Star Trek cheese. Couldn’t they find decent model builders by now? The Klingon judicial system: a model of legal efficiency. Unfortunately what gets sacrificed here, as with some of the other movies, are the characters. 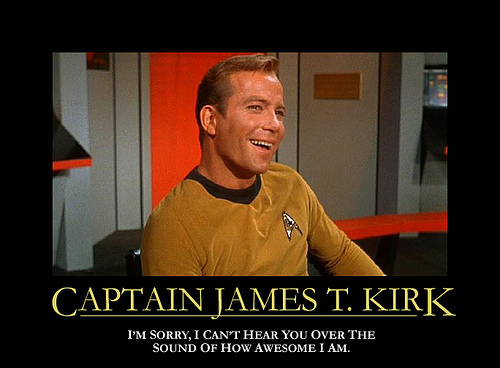 Most of Kirk’s intrepid crew is reduced to goggle-eyed stares at the viewscreen or groan-worthy one-liners. The story here is about Kirk, and to a lesser degree, Bones and Spock, and unlike Voyage Home no one else is given any significant contributions to the story. It’s an unfitting sendoff for Sulu, Uhura, and of course Scotty, but given the high quality of the movie as a whole these character missteps are somewhat forgivable. Few movie series ever make it to their sixth iteration, and those that do are mostly content to cash in on trends, following the same regurgitated storylines all the way to the bank. 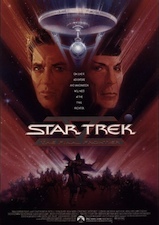 But rather than churn out a halfway decent film destined for the VHS bargain bin, Meyer and his crew gave Undiscovered Country all they had and put effort into crafting a work that respects the source material while offering an incredibly pleasing finale to the journey begun by Gene Roddenberry more than three decades earlier. 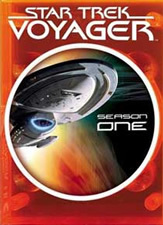 The first season of Voyager was an excellent freshman effort for a series with such big shoes to fill, and though Season 2 finds Janeway and her crew still stuck in roughly the same part of space as when we last left them, with more or less the same set of aliens and long-standing conflicts, it does push things in some interesting new directions and offer some fantastic moments of action, philosophy, and character-building too. The central goal remains more or less the same: these people gots to get home! Still stuck in the (we are constantly reminded) Delta Quadrant, in a hyper-advanced spaceship capable of traveling at warp 9.975, they continue their pattern of puttering along at warp four or five until even the smallest spatial anomaly or class-M planet catches their attention, at which point Janeway happily throws caution to the wind and risks the lives of everyone on board in order to make contact with alien races or get some veggies for the airponics bay. It makes for some creative episodes, but at this rate it seems like the entire crew had better just abandon the idea of getting home altogether, as it sure isn’t likely to happen before they’ve all kicked the space bucket. It’s a bit of a shame, really, because the idea of one ship stranded 70 years from home affords all kinds of interesting possibilities, but most of the concepts in Season 2 could have played out in regular Federation space. It’s almost as if the wheel was reinvented just for the sake of doing so, especially when the aliens in the Delta Quadrant are so similar to races we all know and love from the Alpha Quadrant. In essence, the gimmick begins to wear thin by the time Season 2 wraps up. The Vidiians are back again, but not all bad this time. That being said, it’s not as if the content of Season 2 is bad at all. It’s actually pretty solid for the most part, barring a few episodes near the end, and does a good job of expanding on the conflicts and characters introduced the first time around. The first episode, The 37’s is a bit of a cheap throwaway bit, as the crew encounters a band of people who were mysteriously transported from Earth in the 20th Century. (Think Bermuda Triangle and Roswell.) And while it was fun to go through a bit of fish-out-of-water time travel, I find it frustrating that the Voyager crew wouldn’t build more of a relationship with the human colonists. 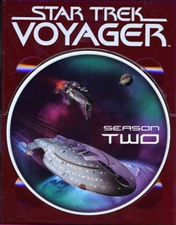 I guess it’s a constraint of the episodic nature of the show, but it seems like such fertile ground was laid for some amazing future developments, but at the end of the episode the Voyager crew say farewell and never speak of their newfound human friends again. Ever. But such is the nature of Star Trek–some conflicts make the cut and show up all the time, while others are left by the wayside like so much interstellar particles. Also back for another go-round this season are the Kazon, an incomprehensibly anachronistic alien race whose reach apparently spans a great deal of the Delta Quadrant but is inexplicably fixated on blowing up capturing the USS Voyager and using their technology for their own nefarious deeds. In a nod to the Godfather films, there is even a “Meeting of the Five Clans” in the episode “Alliances” that, predictably, doesn’t work out as well as Janeway had hoped. We also have episodes about Kazon child-rearing, Kazon burglary, Kazon trechary, and a season cliffhanger where the Kazon finally take over Voyager and maroon the entire crew on a rocky planet. The problem with the Kazon is they are neither threatening or interesting, and have the tactical smarts of a bowl of leola root stew. They exist merely to provide an adversary for the crew, and only do a middling job at that. Throw in a dash of Seska, up to her usual meddlings, and it all adds up to a persistent conflict that needs to just be vented like so much plasma gas. 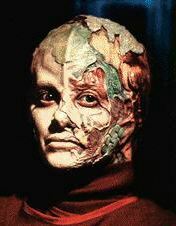 Ensign Suder, the Star Trek equivalent of The Joker. The rest of the season is a fairly inventive, not-entire-derivative, mix of suspense, danger, characterization, and thankfully, a whole lot less of Neelix and Kes (though the requisite Star Trek pon farr episode has a twist here since it’s Kes and not a Vulcan. The joke remains the same, though. *yawn*). After a bit of an awkward start, things pick up with with the usual cornucopia of time travel, unexplained space phenomenæ, warring factions, and convention-breaking space maneuvers. There is also a few head-scratching episodes that seem like they were directed by David Bowie on a weird acid trip, but to be honest, those kind of episodes (when used sparingly) are a nice change from the norm. It’s par for the course for Star Trek, which is a good thing, since it’s all presented through the eyes of a fairly interesting crew. Despite the paint-by-numbers makup of the starfleet personnel on board, each one is actually growing into his or her own character by this point in the series. Janeway cements herself as a captain the crew can really get behind, Tuvok fits nicely into the shoes originally worn so well by Spock, Torres is still no Scotty, but she is proving that she doesn’t really need to be. A few soft spots remain, though, most notably Neelix, whose presence on the ship continues to baffle me, and Harry Kim who is mostly bland and unremarkable despite an entire episode devoted to himself. Chakotay and Janeway get a little closer when they are stuck on a planet for weeks on end, which could have been cool if only this relationship had been explored more during the rest of the series. The end-of-season cliffhanger is kind of cool too, with the entire crew left stranded on a rocky planet with only Suder and the Doctor left on the ship. 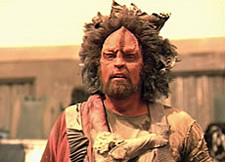 Suder is one of the high points of the show, and even though his character is only in a few episodes he is one of the more compelling characters to enter the Star Trek universe in a long time. 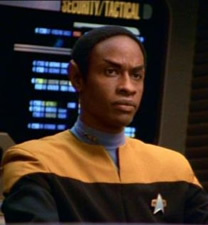 He is indicative of the show’s ability to take risks, which is a refreshing change after sitting through four seasons of Enterprise, and serves as a good reminder of what has traditionally made Star Trek such a good series. And at this point in the Voyager’s seven-year run, it has grown into a show that, while not without fault, really is worth watching. 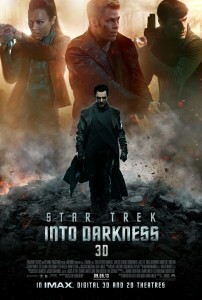 This review isn’t exactly timely, as Star Trek was released in theatres over six months ago, but having just watched it for the fifth time (four times in the theatre, once at a friend’s house a few nights ago), I think it’s high time we had a writeup of one of the best science fiction movies in years here on Walking Taco. My history with Star Trek dates back nearly twenty years: the first episode I remember seeing was Final Mission, with my cousins Jason and Nathan at their home in Saint Louis when I was only about ten years ago. Since that young age I have been hooked on Star Trek, not just for its portrayal of science fiction, but for the characters. The genius of Gene Roddenberry’s creation lies not in fantastic tales of starships exploring the galaxy, but in using that backdrop as a canvas to paint a tapestry of human interactions and as a way of exploring the human condition in 45-minute chunks every week. 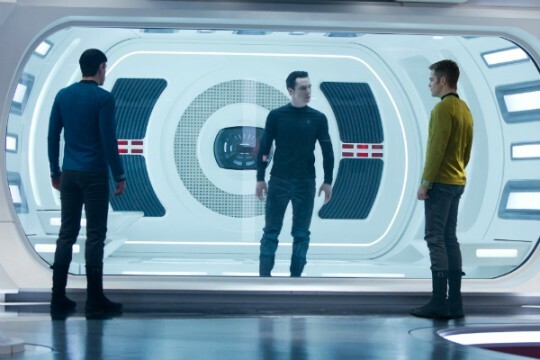 Several spinoffs and ten movies later, it’s this core strength of Star Trek that keeps it relevant in a world where many of the futuristic gadgets and fiction elements of the series are now most decidedly fact. 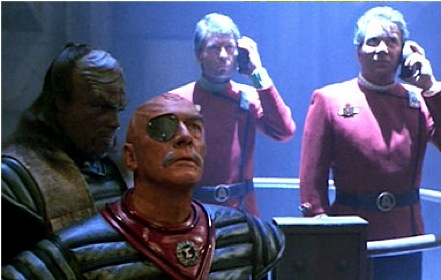 Part of Star Trek movie lore is that the even-numbered movies are generally the best: Wrath of Khan, The Voyage Home, Undiscovered Country, and First Contact are the better of the celluloid-based incarnations of the series. The cycle was broken…no, entirely blown away, with Star Trek Nemesis, though, a film that debuted at #2 on its opening weekend, next to Maid in Manhattan. Yes, any time a movie series opens below a Jennifer Lopez movie, you know there’s trouble. And so the series stagnated, and after seven years it was time for a reboot–not only of the franchise, but of the entire Star Trek timeline as a whole. Star Trek (no subtitle this time, folks) is a reinvention of the franchise that turns everything we know about Trek on its head, while staying true to the core concepts so deeply rooted in Roddenberry’s original series in such a way that most of the newer TV spinoffs and movies have never even done. It makes Star Trek relevant again, and updates the series for a new generation of youngsters raised on the science fiction movies and TV shows that have cropped up in the wake of Star Trek, but unaware of how amazing the source material, when peeled back to its basic fundamentals, can truly be. Spock and Kirk, reimagined for a new generation of moviegoers. The movie, directed by J.J. Abrams, begins aboard the U.S.S. Kelvin, a starship out exploring during the early days of Starfleet. Upon investigating what is described as a lightning storm in outer space, the crew realized it’s actually a black hole-type of anomaly with a giant ship emerging from it. The commander of the ship orders the captain of the Kelvin to come over for a chat, which leaves George Kirk in charge of the Kelvin. Shortly thereafter, the captain of the Kelvin is killed, a battle ensues, everyone abandons ship including Kirk’s pregnant wife who has just gone into labor. But wouldn’t you know it, Kirk is the only one who can fend off the incoming torpedoes long enough to provide an escape for the exiting shuttlecraft. 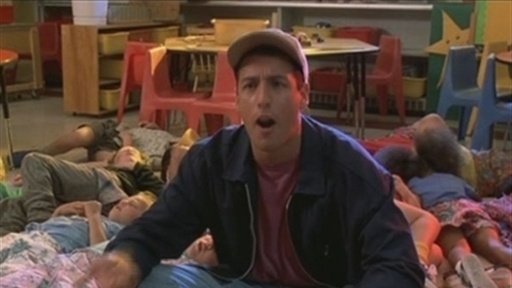 Sure enough, Kirk ends up sacrificing his life for his crew, but gets just enough time to go over baby names with his wife before he kicks the bucket. And yes, their son, born amidst the chaos of a space battle, grows up to become the famous James T. Kirk we all know and love. 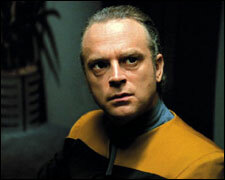 Simon Pegg does an excellent job as Scotty, the ever-frazzled chief engineer. plays this mechanic with a very even hand, not having the familiar characters deviate from their expected norms, but at the same time crafting a Kirk, Spock, Uhura, and the rest of the bridge crew, who are familiar and brand new at the same time. In fact, the actors do an amazing job of inhabiting their characters throughout the movie, especially Zachary Quinto in the role of Spock. His every nuance is so dead-on that it’s almost as if Leonard Nimoy himself were playing the role, and when Quinto’s Spock meets up with Nimoy’s Spock at the end of the movie, it is as if we really are watching the exact same character, to the point that it hardly even seems like two different actors. 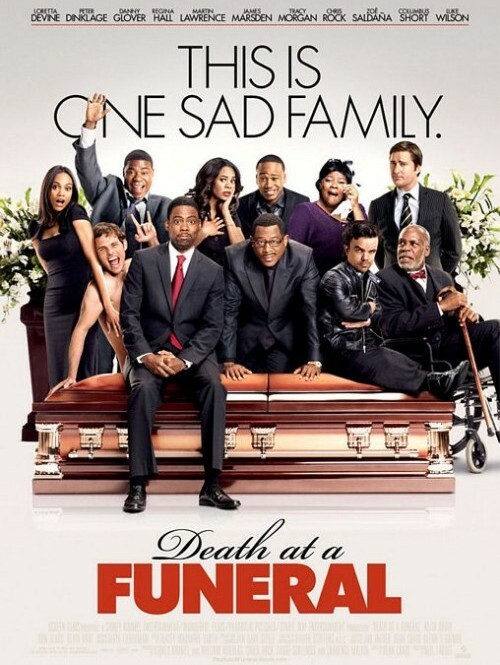 The plot is outlandish and far-fetched, but fits the tone of the movie perfectly. Planets are destroyed, armadas are locked in combat, ships explode, people are chased by giant monsters, and in the middle of it all are two time-traveling spaceships whose existence changes the entire fabric of the universe. And even after watching the movie five times, I am still amazed at how much action there is. Hardly a minute goes by when there’s not a fistfight, firefight, spaceship battle, or black hole sucking in everything in its path. But at its core, the movie is not about action, explosions, or spaceships: it’s about a young man coming face to face with his own destiny. It’s a retelling of the Hero Myth we have heard time and time again from infancy–a myth that is forever immortalized by Luke Skywalker staring at the twin suns of Tattoine as he contemplates what the future holds. Indeed, Star Trek even acknowledges this with young Kirk gazing at the Enterprise while it is still under construction, pondering what lies ahead for him. My only thought now is what lies ahead for the series, and this movie leaves me with more hope and excitement for Star Trek than I have had in quite some time.